A quick note: After digitizing over 15,000 books, Routledge has made 6,000 of these e-texts free for viewing during the month of June. You can browse the complete list of titles in Routledge's e-catalog by clicking here. Once you have selected a title, you can then click the blue "View Inside this Book" button to start reading the text. The collection includes lots of works focused on Economics, Finance and Business; Politics and International Relations; and Philosophy and Cultural Studies.The latter category will undoubtedly interest our many philosophically-minded readers. Among the texts you will find Foucault and Education; Cultural Analysis The Work of Peter L. Berger, Mary Douglas, Michel Foucault, and Jürgen Habermas; Heidegger and the Romantics: The Literary Invention of Meaning; The Notebooks of Simone Weil; and A Historical Introduction to Phenomenology. 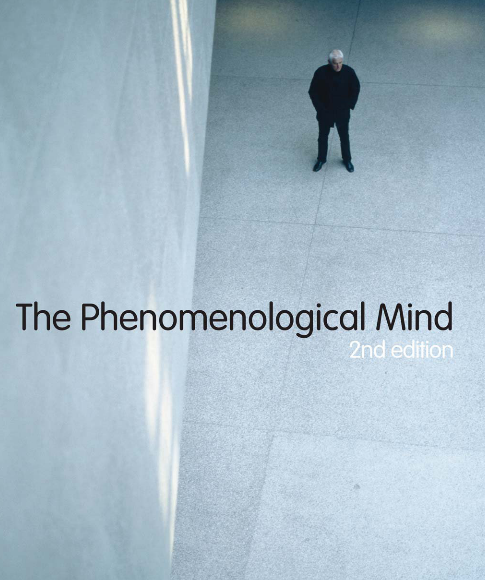 The image above comes from The Phenomenological Mind by Shaun Gallagher and Dan Zahavi. I’m a brazilian universitary teacher and read some texts os vert important. Boring! Where are the picture books?